Assigning the Army the construction of a public work as complex as that of the airport in Santa Lucia is irresponsible. The military has no experience in anything similar. Nor is it his competence to have it. His only major recent civil work is the perimeter fence of the canceled NAIM. This cost almost ninety percent more than programmed, and its construction was delayed 53 percent of what was planned. 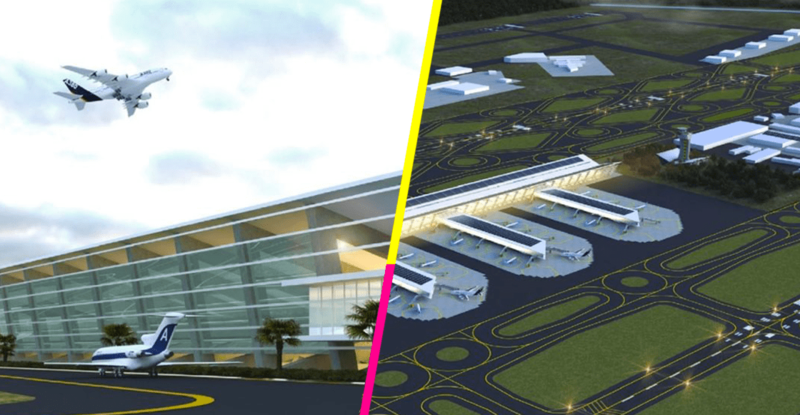 At the time, the Superior Audit Office of the Federation pointed out that in the construction of the airport the largest amount of public money to be checked was related to the agreement between the Airport Group of Mexico City and the Secretariat of Defense (Sedena). Giving Sedena the benefits that the Santa Lucia airport will generate, as announced by AMLO last Sunday, is even more worrisome. Only in countries where the army is a central political actor does it have economic interests in assets unrelated to national security. Egypt and Pakistan are extreme cases. Military rulers or coups on countless occasions and there participation in economic life has been associated with all kinds of conflicts of interest and corruption scandals. In China and Cuba, the army also has broad economic interests. I did not find any case where they manage civil airports. There seems to be a single democracy where the army has its own assets not linked to security or technological development: India, where it has 100 golf courses. AMLO seems to have fallen in love with the Army. He has also commissioned the development of an estate that he has in the canyon adjoining Santa Fe, to the west of Mexico City, as well as administering newly purchased self-tankers in New York. I do not know what more tasks are going to accumulate this week. Giving the Army an economic development function seems illegal. The objectives of the Sedena are established in the Organic Law of the Mexican Army and Air Force. Among them is not to promote economic development. The secretariats are to fulfill their function, not to have assets with which to finance their current expenditure. Your budget is assigned by the Chamber of Deputies, and you should not depend on the returns on the assets of your property. In the campaign, AMLO did not seem to have a good opinion of the Army. “The claim has to be to Peña Nieto, to the armed forces,” he said as a candidate referring to the case of Ayotzinapa. His security proposal was “hugs, not bullets” and that the army and the Navy gradually retreated to their barracks. Now, besides giving him own responsibilities of a company, he wants to make the Army responsible for public security, through the National Guard, against what the Constitution says, the tradition in democratic countries and common sense. Why did you change your mind? What encourages him to depend now on the Army? The conspiratorial hypothesis is the easy one: it seeks to reward the Army in such a way that its political and economic interests are aligned with its government and its country project. It would accomplish this, by an indirect means, what Chávez did with the Venezuelan Army. In that case it was natural; from his ranks emanated. He ruled with the military. Thanks to them, Nicolás Maduro stands today. I have never said that AMLO is like Chávez, but, unfortunately, I can not rule out this hypothesis. Another hypothesis is that in the Army he has found a disciplined and organized body to which he can entrust his most important projects. This may allow to move forward quickly, although with high risks of corruption to have to outsource a large part of the works. The Army seems to be very happy with this new affair. However, it implies a risk to your reputation. You can not see how Santa Lucia can operate in three years. It is not even clear that this airport can work well with the current one. With these decisions Andrés Manuel López Obrador is giving the Armed Forces a political and economic role that they have never had. If a right-wing government had even tried, the mass left would have protested. Morena seems willing to swallow anything. The opposition, diminished and divided, does not seem to know what to do against the Army, one of the institutions with the greatest approval in public opinion. I have defended on more than one occasion the role of our armed forces in security tasks. However, to put in the Constitution that the military will be responsible for public safety and make them a business group is absurd, risky and contrary to the principles of a democratic country.